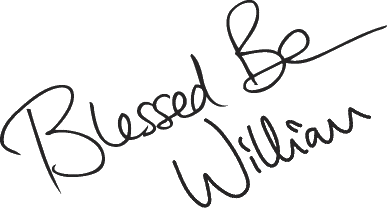 This is the Moonwise newsletter for the Rowan Moon eclipse. The Moonwise Calendar is now £5 cheaper! There is a total eclipse of the moon tonight, visible in Europe in the early hours of Monday morning (21 Jan), and also in the Americas. If you have a copy of the calendar, you will also see the symbol for perigee by the moon, showing that the moon is near its closest to Earth, and thus a little bigger than average. People call it a supermoon. The edge of the Earth’s shadow, very hard to see, lands on the moon at 02:36 (all times here UTC, clock time in Britain and Ireland), and the dark shadow begins at 03:33. 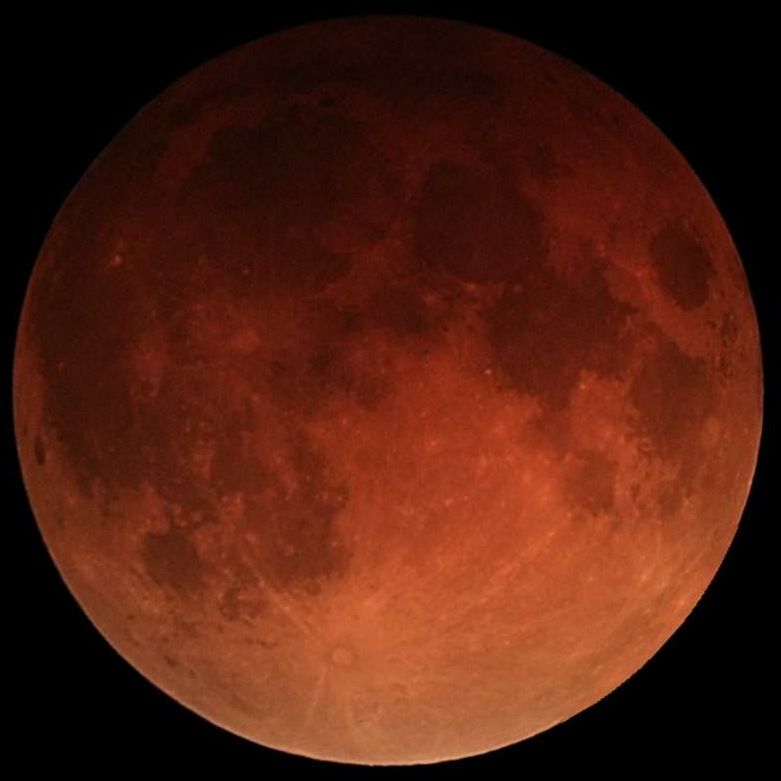 Totality lasts from 04:41 to 05:43, and this is when the whole of the moon has all of its direct light blocked; however, some red light still reaches the moon through the Earth’s atmosphere. The partial phase (the Earth’s dark shadow) ends at 06:50, and the penumbral phase (the Earth’s partial shadow, very hard to see) ends at 07:48, just before moonset in SE parts of Britain. If you are in NW Europe, you will need to get up early to see the eclipse, and hope for reasonably clear skies, but it may be worth it. Although there will be an evening partial eclipse of the moon in July this year, there won’t be another total one until May 2022, and that will be during moonset. The picture is of the January 2018 eclipse as seen in California, taken by Alfredo Garcia, and made available for public domain use through Wikimedia. 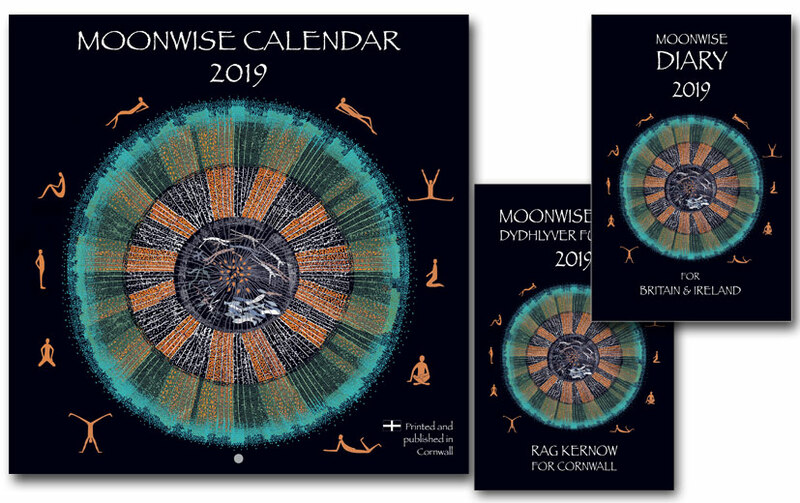 As ever, I'd be very grateful if you could spread the word about the Moonwise Calendars and Diaries (and indeed our other products, if you like them) on social media. Please do make comments on our Facebook page, and share what you think of the calendar and diary on social media. The more people who buy them, the longer these calendars and diaries can go on.